It’s been said many times before that a good business is built on good people. Business owners and managers need to build a team of individuals that work as a cohesive unit to tackle any problems that come up and achieve the goals of the organization. 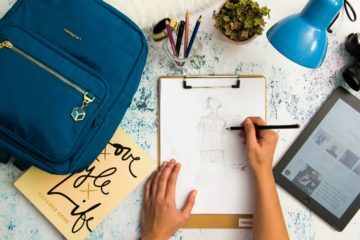 As your fashion business continues to grow, you need highly qualified candidates that understand your market and know how to help take the company forward. In such a competitive field, however, it can be tough to find and hire the best people before another business does. Luckily, New York retail recruiters can be used to help you fill any openings you have with someone who is ready to make an immediate positive impact. Rather than navigating the recruitment process from start to finish, you have the opportunity to work with professionals that will do more than just send you resumes for candidates. Your business can depend on a retail recruiting service to eliminate challenges you face every day. The recruitment process can be time consuming and expensive, as you work to fill positions as quickly as possible with the highest qualified candidate so you can relieve pressure on the rest of your team or department. While it can, at times, feel frustrating and daunting overall, there are three main obstacles that fashion recruiters face when it comes to retail. Knowing these challenges and working with a service to assist with recruiting enables you to take proactive steps to move your business forward. The hiring process takes a long time. According to Monster, it can take three months or more from the time someone submits an application to the time they put in their first day of work. This means months of constant work by a hiring manager to fill just one position. When there are multiple positions to fill, the stress piles on. Using a retail recruiting service means there will always be someone waiting with well-qualified candidates when you have an opening. In today’s economy, businesses can expect a mountain of resumes when conducting a search. This causes the process to drag on, as you sort through to find the best candidates to interview. You don’t want to get bogged down in the early parts of the process if you can avoid it. A third obstacle presents itself because businesses, especially those in fashion, need to be able to move quickly to hire the best candidates before the competition. When everyone in the industry is fighting for the best talent, having a service send the best to you increases efficiency. Employee turnover is one of the most expensive parts of doing business. In the fashion industry, high rates of turnover have numerous effects on the organization as a whole. 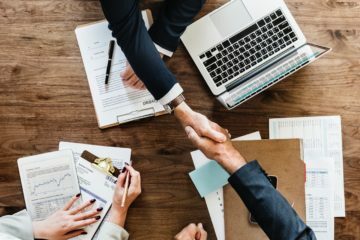 While it is difficult to put an exact number on the cost of churn to an organization, a paper released by the Center for American Process determined that “the average economic cost to a company turning over a highly skilled job is 213% of the cost of one year’s compensation for that role,” according to the Huffington Post. This number takes into account a variety of factors that affect your entire staff, not just the position you are trying to fill. Organizations need to consider the cost of searching for, interviewing and onboarding the new hire, as well as the dip in productivity while waiting for the new person to get up to speed. In addition, others in the business may experience a decrease in motivation due to the previous employee leaving, which can affect productivity. New York retail recruiters help mitigate the consequences of employee turnover by helping you select qualified candidates that are committed to your business for the long term. When you are able to fill a position with a highly motivated applicant that is ready to contribute to the success of your business, less time and fewer resources are spent during the onboarding and training process. By narrowing down applicants for you before the interview stage, recruiting services ensure that the time and money you are investing into a new hire who has the skills and qualities that align with what your fashion business needs will not be wasted. Your business may be in a position where you have a job to fill that is not considered traditional. For example, you may need someone with a background in fashion retail who must also possess a specialized skill set. The more specialized the position in the organization is, the more difficult it can be to draw qualified applicants. This is one major reason to work with a professional recruiting service. Fashion recruiters help get the message out about your job search, and they already have a network of job seekers and professionals who will be strong candidates to consider. 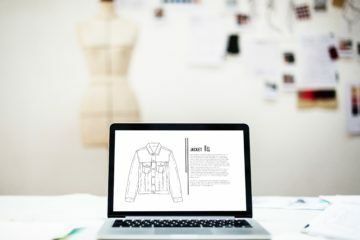 Although it was previously mentioned that companies could expect a mountain of applications when conducting a search, fashion businesses need to ensure that information about their position is getting into the hands of the right people. Retail recruiters work their connections with industry professionals to help businesses find people who have the desired qualities and qualifications. This is accomplished by leveraging the power of multiple channels of communication with job seekers. Working with a retail recruiting service gives your hiring team a leg up in the search for talent. With a strong pool of applicants for retail positions in your fashion business, you will be able to find the perfect pieces to complete your team. This service is not just limited to entry-level job applicants. Professional recruiters are experienced in helping you track down the person who will be the best fit for your organization, regardless of your type of fashion business or the level in the company that has the opening. At the end of the day, your company needs to focus on continuing to move forward. Especially during busy times of the year, you can’t afford any drop in productivity. This means it takes a delicate balance to produce high-quality work while needing to fill a job opening due to the amount of time recruiting, interviewing, and hiring takes. New York retail recruiters put control over the recruitment process into your hands so you don’t waste valuable time and money. Rather than having to dedicate long hours and resources to monitor a variety of job boards, your team is able to focus on strengthening the processes and procedures that enable your employees to produce their best work. Fashion recruiters act on your behalf every step of the way. When you agree to work with a retail recruiting service, you will provide the company with information about the position, as well as required and desired qualifications. The recruitment service will listen to the needs of your organization and represent you in the candidate market so that you only receive resumes and applications that are of high quality, from people who have the characteristics that will fit well with your culture. Gain peace of mind knowing that experts have your best interests at heart while you continue to run your business each day. As you continue to expand, it is more important than ever to have someone on your side who can focus on recruitment so you can maximize the value of your employees and their strengths. Learn more about the benefits of using a retail recruiting service by contacting The Fashion Network. Take the next steps today by calling (212) 575-5898 to talk to professional New York retail recruiters.